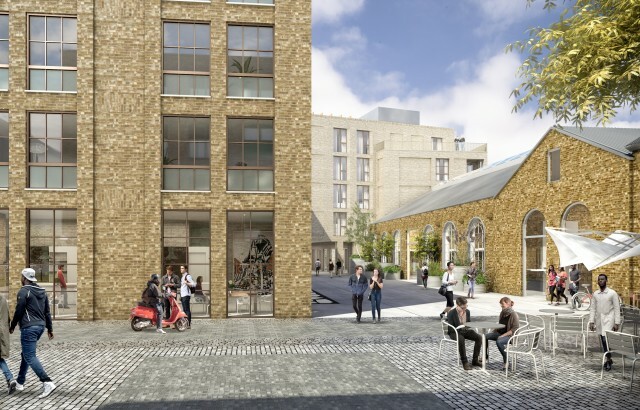 Wallis Road, our heritage-led mixed-use regeneration scheme in the heart of Hackney Wick, has been highly commended for the Best Use of Heritage in Placemaking at this year’s Planning Awards. The transformative scheme preserves and enhances historic buildings and puts them to use as artists’ studios, workshops and exhibition space. The flexible workspace is punctuated with mezzanines and double-height spaces with original trusses exposed, and includes collaborative work areas. The adjacent locally listed Central Books building, a typical Edwardian warehouse, became a key design driver for the scheme. 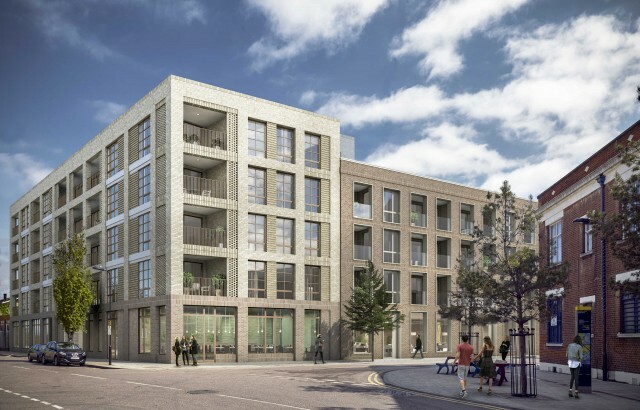 Part of the LLDC’s masterplan for the area, the scheme also delivers 44 new homes, all of which have generous private balconies and comply to London Plan guidelines. 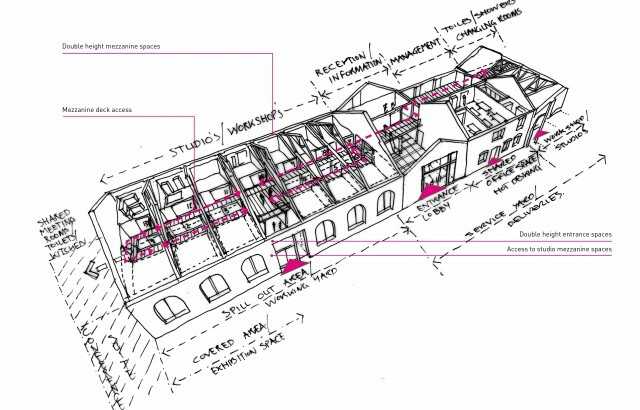 Our design reinstates a historic yard enclosed by a new building, providing additional employment space with street frontages. Driven by a desire to create a vibrant community, the design addresses the Wick’s industrial heritage and brings together a sustainable mix of uses. The scheme also focuses on improving connectivity across and around the site, while the promotion of the creative industries within our proposals aim to ensure the scheme’s relevance and appeal to the local community.